The best way to learn history is not through textbooks– it’s seeing it for yourself. Although time-travel is not yet an option, history lovers can still visit the most historical sites around the world. Each site offers amazing insight, an experience of a lifetime, and of course rich history. If you are a history buff, these are the historical sites that are a must-see. If you’re looking for a unique and historical vacation spot, head to the ancient Mayan ruins of Mexico’s Yucatán Peninsula. Not only does the Yucatán Peninsula offer beautiful beaches of Cancun, but you will also find the world-renowned ruins of Chichen Itza and Cobá. Nearby tourists may also visit Merida where they will find the Uxmal ceremonial grounds and pyramids along the Puuc trek. A city that is rich in ancient history, dating all the way back to B.C., is Athens, Greece. Traces of the Greek Gods such as Zeus, Hera, and Poseidon make this one of the oldest and most beautiful cities in the world. To experience the incredible history of Athens be sure to visit Acropolis of Athens, Parthenon, and take a seat at the Old Olympic Stadium. Here you will also find stunning beaches and other lovely tourists spots. As one of the most glorious and historical sights to explore, Petra is the place to visit. Petra is one of the New Seven Wonders of the World and features the most unique and ancient architecture. Discovered by a Swiss explorer in 1812, it is carved into the pink canyons of Arabah, Jordan. Not only was this historical spot featured in the favorite Indiana Jones movie, but it is also home to combs and temples carved into the pink canyons and cliffs. 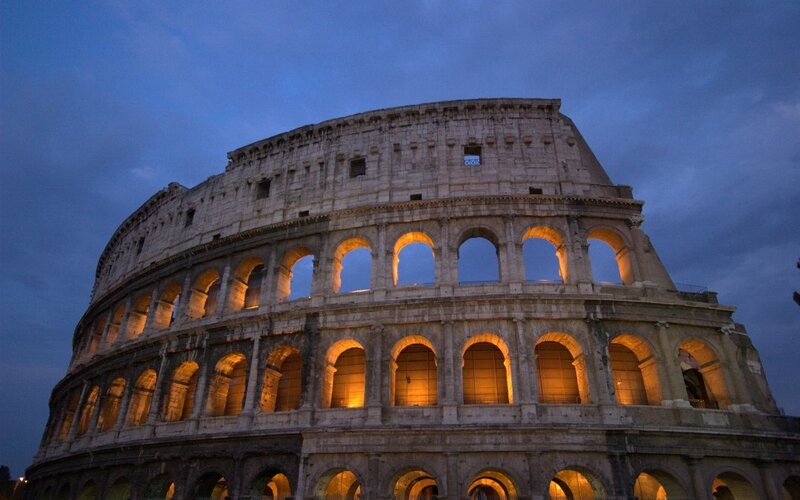 When in Rome, do as the Romans do–a famous saying that encapsulates history and tradition. When visiting Rome, Italy, you will find ancient ruins and the birthplace of the most influential minds. In Rome, be sure to explore the historic Colosseum, the early Christian Catacombs of San Callisto, Palatine Hill, the Roman Forum, the remains of Port of Ostia Antica, and the Baths of Caracalla. Each site is unique to Italian history and is a must-see for every history buff.